Mayor Bill de Blasio has a announced “NYC Secure“, New York City’s first ever cyber-security initiative. NYC Secure will defend New Yorkers from malicious cyber activity on mobile devices, across public Wi-Fi networks, and beyond. The first NYC Secure programs will include a free City-sponsored smartphone protection app that, when installed, will issue warnings to users when suspicious activity is detected on their mobile devices. The City additionally announced new world-class protection for its public Wi-Fi networks, becoming the first city in the world to provide such services to all residents and visitors free of charge. Of particular note is the mobile app, which will notify users of potential threats as they use their device, while simultaneously preserving the privacy of the user. 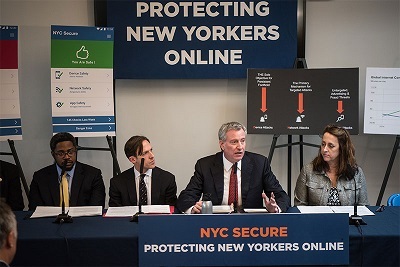 The app, which will be available free to all New Yorkers this summer, will help minimize these risks by identifying malicious attacks and warning users of attempts to compromise their device. Users will receive recommended steps to protect themselves, such as disconnecting from a malicious Wi-Fi network, navigating away from a compromised website, or uninstalling a malicious app. The app will not take actions on the phone by itself. 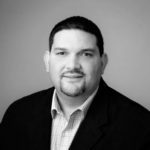 While there will undoubtedly be a number of technical details that need to be resolved as this project move forward, Just-Tech would like to applaud Mayor de Blasio and his administration for taking bold steps to keep the people of the city safe.